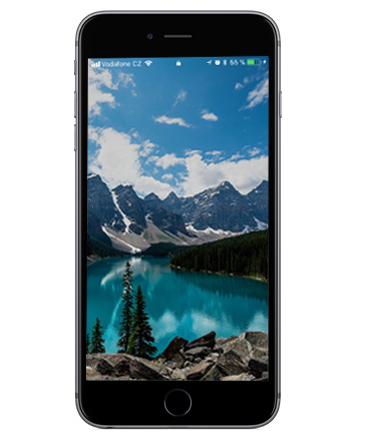 Experiencing iPhone 6 no service issue is although not a common thing, a large number of people face it. Sometimes out of the blue, this weird problem might surface and leave you helpless. You won't be able to use the internet, make or receive a call, or even text anyone for that matter. If your iPhone 6 is behaving like this, then you don't really have to worry. In this article, we are going to introduce you with the most helpful fixes for this iPhone 6 searching for service issue. There are various ways for fixing the no service issue on your iPhone 6/6s. We have brought you a list of solution here, go through them. The first option you should try is rebooting your iPhone. Press and hold the 'Sleep/Wake' button on your iPhone. When you see the 'Slide to turn off' bar at the top, slide it right to turn off your device. Now, restart your iPhone and check if the no service issue on your iPhone has been fixed or not. Removing and reinserting the SIM card might even resolve the problem. You need to follow the below mentioned steps to remove and reinsert the SIM. Turn your iPhone off first. 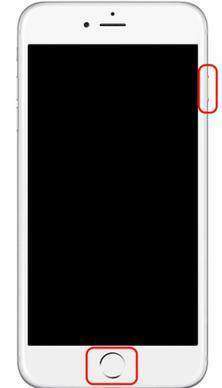 Look on the right side of your iPhone 6 to find the SIM tray. Get a paper clip or the SIM-eject tool and insert in the hole adjacent to the SIM tray. Pull out the SIM-card tray carefully after releasing it with the SIM-eject tool. Now, properly mount the SIM card in the tray and reinsert in the SIM slot in your iPhone. Turn on your iPhone and see if the issue has been solved. Using unauthorized accessories or the ones not supported by Apple devices might disrupt the way your iPhone works. In case you have any accessories connected to your iPhone then disconnect them. Disconnect if you have earphones connected to the iPhone. Restart iPhone after disconnecting the headphones, it should work now. Launch 'Settings' on your iPhone and browse for 'Airplane Mode'. Toggle the 'Airplane Mode' slider to off. Check on the notification bar of the iPhone that the 'Airplane Mode' icon is not highlighted. It is recommended to have the latest iOS updated on your iPhone. Now, browse 'Settings' > 'General' > 'Date & Time' > 'Time Zone' and verify the settings. Time Zone will setup the date and time automatically. To fix theiPhone 6 searching for network, here are the steps for resetting network settings. Browse 'Settings' > 'General' > 'Reset' > 'Reset Network Settings'. Key in the iPhone passcode while resetting the network settings to confirm your selection. You need to update your carrier settings to solve iPhone 6 searching for network issue. First of all, update to the latest version of iOS and see if the issue is fixed. In case it doesn't help try getting in touch with your cellular provider/carrier regarding your account. Launch iTunes in your computer and get your iPhone connected. Tap on the 'Summary' tab just below your device icon in iTunes. After that click 'Restore iPhone…' button to restore your iPhone. Wait until the iPhone gets automatically restarted. When none of the above methods offered you a solution to iPhone 6 no service issue, you can always try Tenorshare ReiBoot. This amazing tool can fix all iOS devices stuck issue. Not only iPhone 6 no service issue (iOS related) can be fixed with this powerful tool but you can also fix your iPhone if it gets stuck on recovery mode, due to software crashing, iOS upgrade, or overheating, this software can resolve the problem easily. Apart from that, the tool helps you fix iTunes errors, as well as major screen stuck problems with iPhones. Supporting all iOS versions and major iPhone/iPad models, this software is efficient enough to resolve the no service issue. The best part about this software is there is no risk to your iPhone data. After going through the article, we believe that you have a fair idea about the reasons and how to solve iPhone 6/6s keeps searching for service. When you are in doubt to pick which method to fix your problem, we would recommend you to choose Tenorshare ReiBoot. Keeping your data safe is the major concern and Tenorshare ReiBoot does that for sure.